Home Tags Posts tagged with "greece bailout"
Greece has successfully completed a three-year eurozone emergency loan program worth €61.9 billion ($70.8 billion) to tackle its debt crisis. It was part of the biggest bailout in global financial history, totaling some €289 billion, which will take the country decades to repay. Deeply unpopular cuts to public spending, a condition of the bailout, are set to continue. However, for the first time in eight years, Greece can borrow at market rates. Greece’s economy has grown slowly in recent years and is still 25% smaller than when the crisis began. Greece’s reforms had, Pierre Moscovici said, “laid the foundation for a sustainable recovery” but he also cautioned that its recovery was “not an event, it is a process”. According to the International Monetary Fund (IMF), only four countries have shrunk economically more than Greece in the past decade: Yemen, Libya, Venezuela and Equatorial Guinea. Eurozone ministers have agreed to unlock the latest tranche of Greece’s bailout cash. The bailout fund will disburse 8.5 billion euros to Greece, they said in a statement. The latest tranche of the international bailout will help avert a fresh debt crisis in July when the next €7 billion euro repayment of loans becomes due. The payment is still subject to parliamentary approvals in some countries. IMF Director Christine Lagarde said she would propose an approval in principle to her executive board. The International Monetary Fund wants clarity on longer-term debt relief for Greece once the current funding scheme, worth up to 86 billion euros, runs out next year. Christine Lagarde said the IMF was ready to participate to the third bailout program for Greece after the meeting of eurozone finance ministers in Luxembourg which capped months of negotiations. However, the IMF could join the program with a financial support “in the range of $2 billion” only after a full deal on additional measures of debt relief for Greece, she said. Time was beginning to press for this payment. Greece has repayments on other loans due next month, which it could not otherwise have made. The decision reflects economic policy actions already taken by Greece and the new commitment by the IMF’s managing director Christine Lagarde to recommend that her board contribute financially to this bailout. An IMF contribution was politically important for Germany, especially to strengthen the perceived credibility of the bailout. The eurozone group welcomed the financial and structural reforms enacted by Greece, including income tax and pension reform. 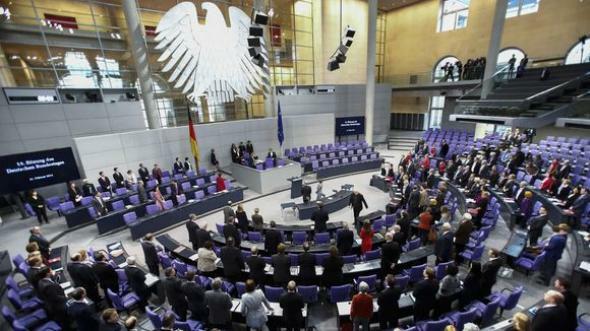 Germany’s parliament will discuss the bailout deal on June 16, finance minister Wolfgang Schaeuble said. Greek finance minister Euclid Tsakalotos said the agreement would allow market access ‘in due course’. The institutions in charge of Greece’s bailout have reached a “common position” on how to proceed, German finance minister Wolfgang Schaeuble has announced. Wolfgang Schaeuble’s comments appear to indicate that deadlock between the EU and the IMF over the next steps may have been resolved. Eurozone governments have provided some debt relief already, in the form of lower interest rates and extended repayment periods. IMF staff thinks Greece needs more concessions. However, the IMF has said there was no need for what it calls an “upfront haircut” – a reduction in the principal that has ultimately to be repaid. In another development, Klaus Regling, the CEO of the European Stability Mechanism – the eurozone’s bailout fund – said in a newspaper interview that Greece’s finances were improving faster than expected. He told Germany’s Bild that Greece would probably need far less than the agreed maximum loan of 86 billion euros by August 2018 as a result. Athens has made a 2 billion euro repayment to the bailout fund as expected, which Klaus Regling said showed “Greece is a reliable contract partner. It is a sign that the restructuring of the Greek banking sector is progressing well”. In a major breakthrough deal, eurozone finance ministers have agreed to extend further bailout loans to Greece as well as debt relief. After Brussels talks, the ministers agreed to unlock 10.3 billion euros ($11.5 billion) in new loans. The move came two days after the Greek parliament approved another round of spending cuts and tax increases demanded by international creditors. The 19 eurozone ministers – known as the Eurogroup also said debt relief would be eventually offered to Greece. This had been a key demand from the IMF, which says public debt is unsustainable at current levels of about 180% of Greece’s gross domestic product. 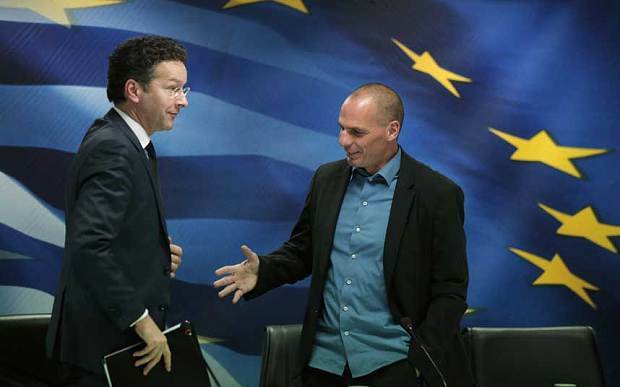 The deal was announced after 11 hours of talks between the Eurogroup ministers. Jeroen Dijsselbloem said a package of debt measures would be “phased in progressively”, adding that he was “glad to confirm” the IMF would now stay on board. Poul M. Thomsen, director of the IMF’s European Department, welcomed the recognition that Greek debt was unsustainable and relief was needed. He warned, however, that the IMF board in Washington still had to agree to the fund’s participation. He also said that the extent of debt relief was still not clear. The IMF and the Eurogroup have been at odds for months over the issue of reducing Greece’s debt. Greece’s parliament passed new budget cuts and tax rises at the weekend, in order to unblock much-needed aid to help meet the country’s debt repayments over the coming months. The bill also created a state privatization fund requested by eurozone finance ministers. Opponents of the measures demonstrated outside parliament on May 22. The Greek government, led by the leftist Syriza coalition, agreed to a third bailout worth €86 billion ($96 billion) in 2015. Greece has challenged the International Monetary Fund (IMF) over a leaked conversation in which top officials allegedly discuss the Greek bailout. Wikileaks published a transcript showing top officials discussing ways of putting pressure on Greece, Germany and the EU to get them to wrap up talks. One of those quoted suggests a crisis “event” may be needed to force a conclusion. 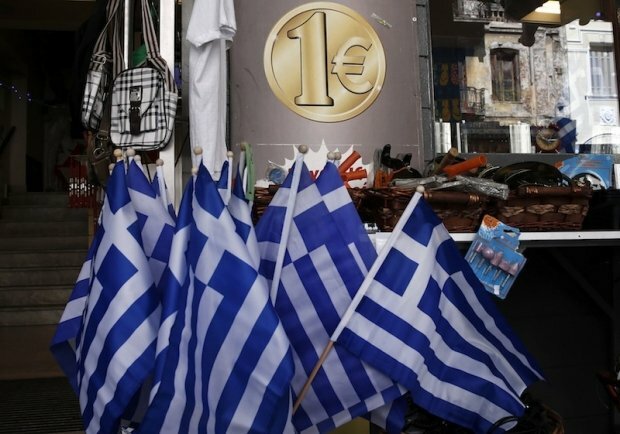 Further negotiations between Greece and its lenders are due next week. The Wikileaks conversation purportedly involves Poul Thomsen, head of the IMF’s Europe department, and Delia Velculescu, leader of the IMF team in Greece, the senior officials in charge of Greece’s debt crisis. Poul Thomsen is quoted as complaining about the pace of talks on reforms Greece has agreed to carry out in exchange for the bailout. “What is going to bring it all to a decision point?” he asks. Poul Thomsen also appears to suggest the IMF could pull out of the bailout to force German Chancellor Angela Merkel to agree to debt relief. Such a move could be politically difficult for Angela Merkel, the key figure in the crisis. “Look…, Mrs. Merkel, you face a question, you have to think about what is more costly: to go ahead without the IMF, would the Bundestag say <<the IMF is not on board?>> or to pick the debt relief that we think that Greece needs in order to keep us on board? Right?” Poul Thomsen says. The IMF would not comment on the purported leaks but said its public position on the matter was clear. Former Greek finance minister Yanis Varoufakis said: “As WikiLeaks revealed today, the IMF is planning to stall until July to bring Greece to its knees [again!] in order to force Angela Merkel’s hand. Greek unions are staging their first general strike against austerity since Alexis Tsipras’s left-wing Syriza government came to power in January. As protesters gathered in Athens, public services were hit and some transport services ground to a halt. The main unions appealed for members to walk out against the terms of Greece’s third eurozone bailout. Greece’s government agreed to push through tax rises and spending cuts in return for €86 billion ($100 billion) in rescue loans. Greek lawmakers have already voted to raise the retirement age and get rid of most early retirement benefits, and reduced rates of sales tax on some of the big Greek islands have been scrapped. However, the main civil servants’ union ADEDY and the GSEE private sector union objected to proposals to scale back supplementary pensions and merge pension funds. They were joined by communist-affiliated union PAME. Public transportation services were shut down, schools were closed and hospitals had only emergency staff levels. Buses and trolley buses were providing limited services. Museums and archaeological sites were also shut and news bulletins, newspapers and websites were disrupted because journalists had walked out. Although general strikes became regular events in Greece in the years following its first eurozone bailout in 2010, this was the first called since Syriza came to power. After reluctantly agreeing to Greece’s third international bailout in five years in August, Alexis Tsipras called an election and was returned to power in September with 35% of the vote. Despite agreeing to a series of reforms, Greek officials are currently locked in a dispute with eurozone officials over bad home loans. The government is trying to avoid indebted Greeks losing their homes, but creditors want an agreement on a mechanism for tackling non-performing home-loans before they unlock €10 billion to recapitalize Greek banks. A separate €2 billion bailout installment is also at stake. There was some good news for the Greek economy on November 11 when officials announced that unemployment had fallen to 24.9% in August, the lowest level since June 2012. Syriza rebels will form a new party trying to govern Greece, local media reports. Former Prime Minister and left-wing Syriza leader Alexis Tsipras stood down on August 20, paving the way for new elections. The move came after Alexis Tsipras lost the support of many of his own members of parliament in a vote on the country’s new bailout with European creditors earlier this month. Greek media reports say 25 rebel Syriza members of parliament will join the new party, called Laiki Enotita (Popular Unity). The party will be led by former energy minister Panagiotis Lafazanis, who was strongly opposed to the bailout deal. At a press conference in Athens, Pangiotis Lafazanis said he was ready to respect the result of a referendum held in July, in which 61% of Greeks said they would not support the terms of the bailout. “If it is necessary for us to cancel the memorandum, we will follow the course of exiting the euro,” Pangiotis Lafazanis is quoted by Kathimerini newspaper as saying. Syriza won 149 seats in Greece’s 300-seat parliament in the last election in January. The conservative New Democracy party came second, with 76 seats. The new Popular Unity party becomes the third largest in parliament. In exchange for a new €86 billion ($95 billion) from European partners, Alexis Tsipras had to agree to painful state sector cuts, including far-reaching pension reforms – and keep Greece in the eurozone. Close to a third of Syriza’s members of parliament abstained or voted against the terms of the new deal last week. 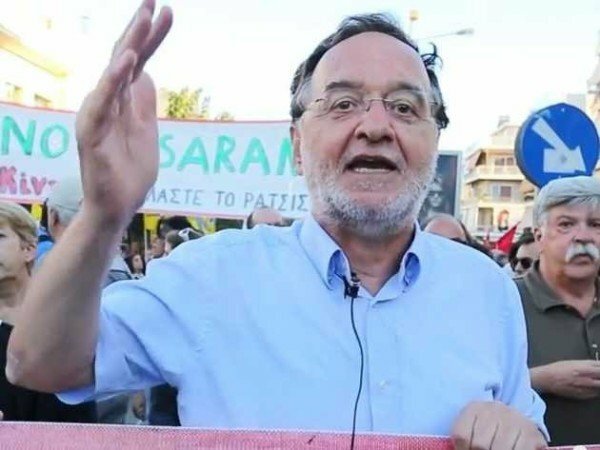 At the time, Panagiotis Lafazanis said he was determined to “smash the eurozone dictatorship”. On August 21, the head of conservative New Democracy party, Vangelis Meimarakis, met Greece’s president and he will now have three days to form a government. Observers say he does not have enough support and elections will be called. Reports suggest the election – the fifth in six years – will be called for September 20. If Vangelis Meimarakis fails to form a government, the chance will be given to the new party, analysts say, and then the far-right Golden Dawn party. They, too, are unlikely to be able to gain enough allies to establish a government. All parties can waive the right to negotiate and allow the president to approve a snap election. Vangelis Meimarakis, however, has said he will try and use his mandate to form a government in the next few days. Dimitris Stratoulis, one of the new members of Popular Unity, told Reuters that his party would also try to use the mandate and put a government together. Greek PM Alexis Tsipras has announced he is stepping down and has called an early election. Alexis Tsipras had faced a rebellion within his ruling hard-left Syriza party over a new bailout deal which has been agreed with international creditors. Greece received the first €13 billion ($14.5 billion) tranche on August 20, allowing it to repay a debt to the European Central Bank (ECB) and avoid a messy default. However, the austerity measures needed for the deal angered many in his party. Alexis Tsipras had to agree to further painful state sector cuts, including far-reaching pension reforms, in exchange for the bailout – and keeping Greece in the eurozone. The overall bailout package is worth about €86 billion over three years. The payment of the first tranche was made on August 20 after the bailout deal – Greece’s third in five years – was approved by relevant European parliaments. Alexis Tsipras made the announcement in a televised state address on August 20. The prime minister said that with the first tranche of the bailout arriving, he now had the moral duty to ask the Greek people to deliver their judgment. He said he would seek the vote of the Greek people to continue his government’s program. Alexis Tsipras said Greeks would have to decide whether he had represented them courageously with the creditors. He will visit President Prokopis Pavlopoulos later in the evening to submit his resignation. Greece will then be run by a caretaker government. Reacting to the news, Martin Selmayr, European Commission President Jean-Claude Juncker’s chief-of-staff, tweeted that “swift elections in Greece can be a way to broaden support” for the bailout deal. Some 43 of Syriza’s 149 members of parliament had either opposed the bailout or abstained in the August 14 parliamentary vote that approved the deal. The rebellion meant Alexis Tsipras, who was elected this January, had effectively lost his parliamentary majority. Alexis Tsipras had won power on a manifesto of opposing the stringent austerity conditions that he has now accepted. He said he was forced to do so because a majority of Greeks wanted to stay in the eurozone, and this could not be achieved in any other way. Greece remains under strict capital controls, with weekly limits on cash withdrawals for Greek citizens. According to the Greek constitution, if a government resigns within a year of election, the president will ask the second-largest party – in this case the conservative New Democracy – to try to form an administration. If this fails, the next largest party must be given a chance. However, analysts say both parties can waive this and allow the president to approve the snap election. 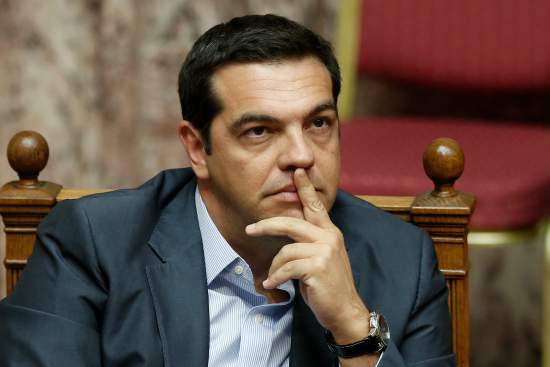 According to Greek media, PM Alexis Tsipras is set to call a snap election for September 20. Alexis Tsipras has faced a rebellion within his ruling hard-left Syriza party over a new bailout deal which has been agreed with international creditors. Alexis Tsipras is to make a televised state address later on Thursday. The prime ministere is set to submit his resignation to the president to clear the way for the elections, the media reports said. Reacting to the reports, Martin Selmayr, European Commission President Jean-Claude Juncker’s chief-of-staff, tweeted that “swift elections in Greece can be a way to broaden support” for the bailout deal. Some 43 of Syriza’s 149 members of parliament had either opposed the bailout or abstained in last Friday’s Greek parliamentary vote that approved the deal. The prime minister said he was forced to do so because a majority of Greeks wanted to stay in the eurozone, and this could not be achieved in any other way. According to the Greek constitution, if the government resigns within a year of election, the president will ask the second-largest party – in this case the conservative New Democracy – to try to form a new government. Greece’s parliament has passed a second set of reforms, meaning that negotiations on an €86 billion European Union bailout can begin. The reforms include changes to Greek banking and an overhaul of the judiciary system. Thousands of protesters demonstrated outside of parliament as the bill was debated, with protests briefly turning violent as petrol bombs were thrown at police. There had been fears of a rebellion by lawmakers but PM Alexis Tsipras was easily able to muster the support required. In total, the measures received 230 votes in favor and 63 against with five abstentions. The debate ended at 04:00 local time. Among those who voted against were 31 members of his own Syriza party. However, this represents a smaller rebellion than in last week’s initial vote. Former Greek Finance Minister Yanis Varoufakis was one of those rebels in the first vote who returned to vote with the government this time. Yanis Varoufakis wrote that he felt it was important to preserve the unity of the government, even if he believed the program was “designed to fail” by Greece’s creditors. 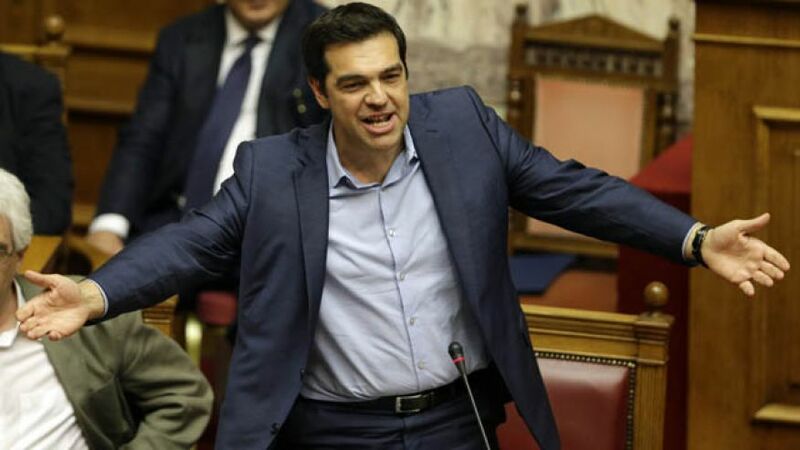 Speaking before the vote, Alexis Tsipras stressed that he was not happy with the measures that creditors had imposed. “We chose a difficult compromise to avert the most extreme plans by the most extreme circles in Europe,” he told parliament. 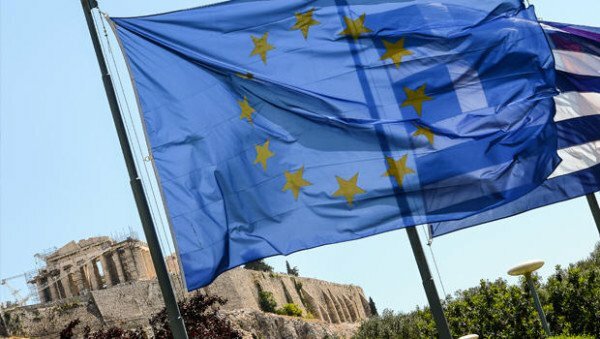 Representatives of the European institutions that would provide the bailout funds will begin negotiations in Athens on July 24. 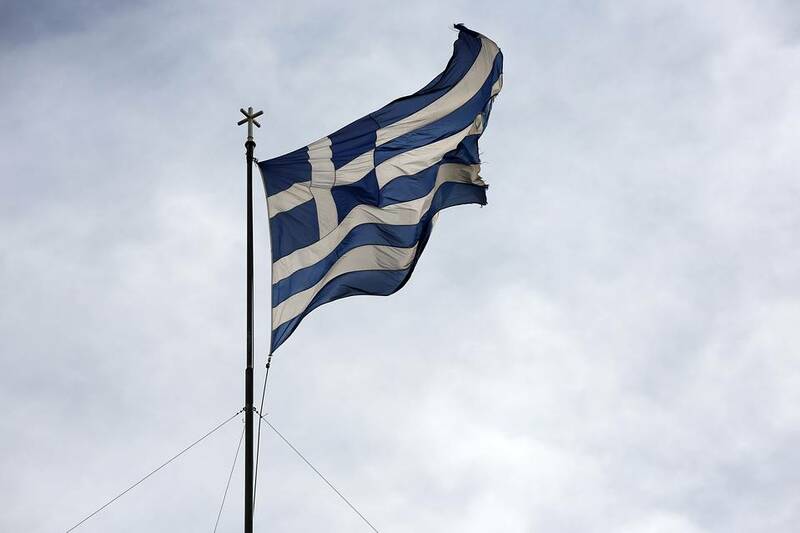 Last week, Greece passed an initial set of austerity measures imposed by its creditors. These were a mix of economic reforms and budget cuts demanded by the eurozone countries and institutions before bailout talks could continue. More contentious measures – phasing out early retirement and tax rises for farmers – have been pushed back to August. On July 22, the European Central Bank (ECB) increased its cash lifeline to Greek banks. The emergency injection of an extra €900 million, the ECB’s second in a week, came just hours before the vote. The International Monetary Fund (IMF) confirmed on July 20 that Greece had cleared its overdue debt repayments of €2.05 billion and was no longer in arrears. The repayments, which included €4.2 billion to the ECB, were made possible by a short-term EU loan of €7.16 billion. Greece’s next major deadline is August 20, when it must pay €3.2 billion owed to the ECB, followed by a payment of €1.5 billion to the IMF in September. The protest in Athens’ Syntagma Square – called by Greece’s public sector union – was reported to have been largely peaceful, until a number of petrol bombs were thrown in the direction of police. Banks in Greece are reopening after three weeks of closures sparked by the deadlock over the country’s debt. Greece reached a cash-for-reforms deal aimed at avoiding a debt default and an exit from the eurozone. However, many restrictions remain, including a block on money transfers abroad, and Greeks also face price rises with an increase in Value Added Tax (VAT). Meanwhile, Germany has said it is prepared to consider further debt concessions to Greece. Queues at ATMs have been a feature of life in Greece for weeks, with people waiting in line each day to withdraw a maximum of €60 a day, a restriction imposed amid fears of a run on banks. From July 20, the daily limit becomes a weekly one, capped at €420, meaning Greeks will not have to queue every day. While banks throwing open their doors marks the return of some normality to the Greek economy, long-term problems remain. Unemployment is stubbornly high, and as this chart shows, Greece’s recession is comparable to one of history’s most famous economic crashes. Greeks will also pay more on a range of goods and services, including taxis and restaurants, with VAT rising from 13% to 23%. The rise was among a package of reforms demanded by Greece’s creditors to open talks on the proposed €86 billion bailout. Members of PM Alexis Tsipras’ party rebelled against the austerity measures demanded by creditors when it was voted through parliament. It paved the way for Greece to receive a bridging loan, which enables the reopening of the banks and for Athens to repay debts of €4.2 billion, (including €700 million in interest), to the European Central Bank (ECB) due on July 20. Both Greece and the IMF have been arguing for a restructuring of its €320 billion debt, saying its current position is “unsustainable”. German Chancellor Angela Merkel ruled out “a classic haircut” – a markdown of Greece’s debts. She told German television other forms of relief, such as extending maturities or slashing interest rates, could be considered once the details of the latest program are worked out. Angela Merkel also played down reports of a row with her Finance Minister Wolfgang Schaeuble, who suggested in an interview with Der Spiegel magazine that he would rather resign than defend something he did not believe in. “The finance minister will, like me, conduct these negotiations and I can only say that no-one came to me and asked to be relieved,” said Angela Merkel when asked about the suggestion. Germany, which is the largest contributor to Greek rescue funds, has taken a tough line on Greece. At one point in the fraught talks over the bailout, Wolfgang Schaeuble suggested Greece could temporarily leave the eurozone while it stabilizes its economy. PM Alexis Tsipras, who has reshuffled his cabinet to replace rebellious ministers, has another set of reforms to push through parliament on July 22. Greece will receive a €7 billion bridging loan from an EU-wide fund to keep its finances afloat until a bailout is approved, eurozone ministers have agreed. The loan is expected to be confirmed on July 17 by all EU member states. In another development, the European Central Bank (ECB) agreed to increase emergency funding to Greece for the first time since it was frozen in June. The decisions were made after Greek lawmakers passed tough reforms as part of a eurozone bailout deal. The bridging loan means Greece will be able to repay debts to the ECB and IMF on July 20. Greek banks, which have been closed for nearly three weeks, could also reopen on July 20, Greek media reported, although credit controls will remain in place. Eurozone leaders agreed on the bailout in principle in Brussels on July 13, on the condition that the Greek parliament passed reforms on taxation increases and pension curbs by July 15. The €7 billion bridge loan was agreed in a conference call on July 16 to tap the EU’s EFSM emergency fund. At a news conference on July 16, ECB President Mario Draghi said emergency funding – ELA – to Greek banks was being raised by €900 million over one week. “Things have changed now,” he said. Greek PM Alexis Tsipras won the parliamentary vote in the early hours of Thursday by 229 votes to 64, but needed the support of opposition lawmakers to do so. His left-wing Syriza-led government is expected to survive, despite losing its majority after 38 Syriza lawmakers rejected the reforms. It paves the way for eurozone finance ministers to open detailed talks on the bailout, worth up to €86 billion, and on July 16 they said they agreed “in principle” to start negotiations. Finland’s parliament on July 16 approved the bailout talks – one of a number of eurozone states which require a mandate from their own parliament for Greece to secure new funds. Germany’s parliament is due to vote on the deal on July 17. Hours after Greece’s parliament passed tough reforms required for a third bailout deal, the eurozone ministers have met to discuss on emergency funding to keep Greek banks afloat. The Eurogroup was also due to discuss next steps in negotiating the bailout. 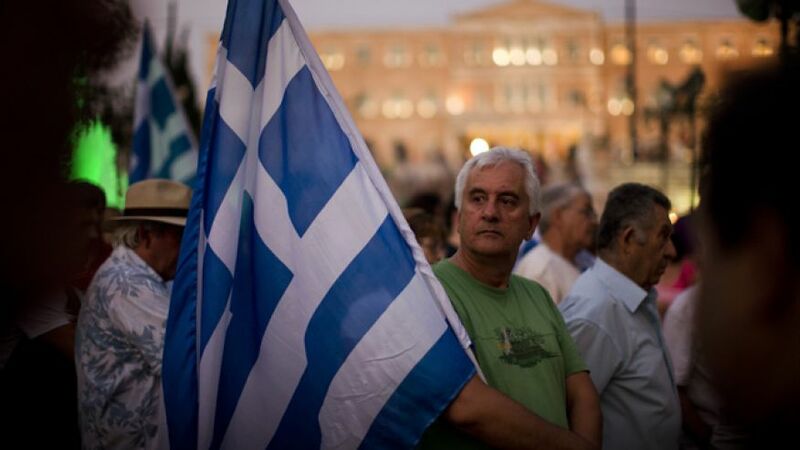 The Greek government is expected to survive, despite losing its majority after 38 lawmakers voted against the reforms. Later, the European Central Bank is to consider easing a funding squeeze on Greek banks, allowing them to reopen. Greece is facing an immediate cash crisis, with banks there closed for more than two weeks. The European Commission has proposed giving Greece a €7 billion “bridging” loan from an EU-wide fund to help the government pay its mounting debts. 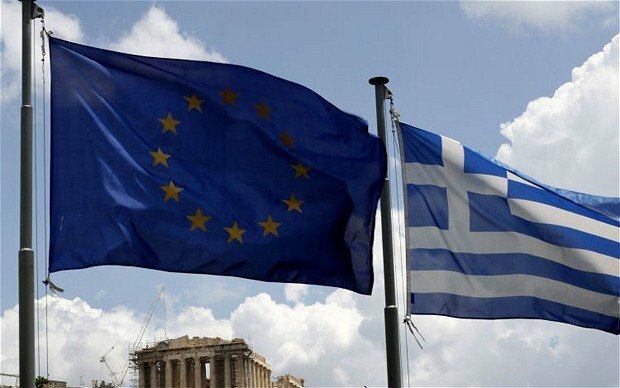 Eurozone ministers have agreed in principle to extend the loan to Greece, according to an unnamed official speaking to Bloomberg. The loan will be announced on July 17 after national parliaments have voted on the bailout deal, the official added. PM Alexis Tsipras won the parliamentary vote by 229 votes to 64, but needed the support of opposition lawmakers to do so. The vote paves the way for eurozone finance ministers to open detailed talks on the bailout, worth up to €86 billion. Passionate opposition came from within Alexis Tsipras’ own Syriza party, with parliamentary speaker Zoe Constantopoulou calling the measures “social genocide”. Former Finance Minister Yanis Varoufakis was another vocal opponent. Since capital controls were imposed and the banks shut on June 29, Greeks have been limited to withdrawing €60 a day. German Finance Minister Wolfgang Schaeuble, known for his hardline approach, told national radio he would submit a request for parliament to reopen negotiations on the third bailout with “full conviction”. He also said he believed a temporary “Grexit” – Greece leaving the eurozone – would perhaps be a better option. Meanwhile Slovakia’s Finance Minister Peter Kazimir said in a tweet he welcomed “the positive vote” but said “this is the easier part of the deal”. By July 22, Greece must also commit to a major overhaul of the civil justice system. It has to agree to more privatization, to review collective bargaining and industrial action, and make market reforms, including Sunday trading. Opponents of the bailout measures took to the streets of Athens in mainly peaceful protests ahead of the vote on Wednesday. However, one group threw petrol bombs at police officers who responded with tear gas. Unions and trade associations representing civil servants, municipal workers and pharmacy owners also went on strike on July 15. 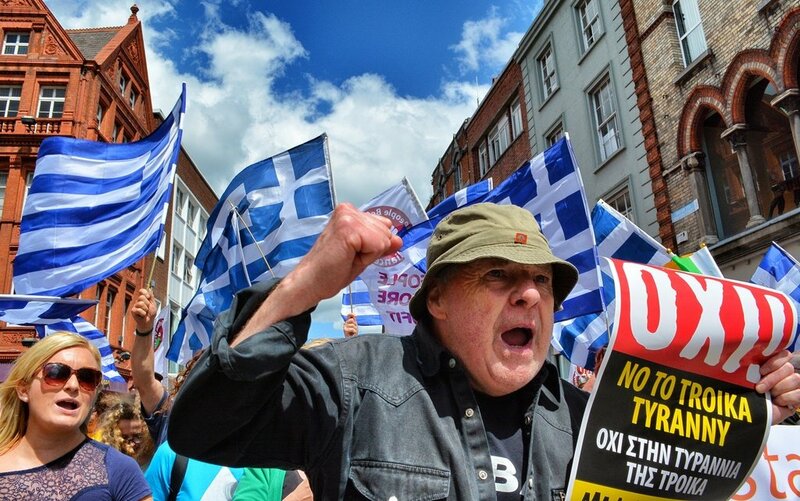 The International Monetary Fund (IMF) has attacked the EU over the terms of a bailout offered to Greece. The IMF said Greece’s public debt was now “highly unsustainable” and urged debt relief on a scale “well beyond what has been under consideration to date”. On July 14, the IMF made public advice it had given to the Eurogroup of finance ministers at the weekend. That advice included proposals that would see some of Greece’s enormous debt written off. The IMF study said EU countries would have to give Greece 30-years to repay all its European debt, including new loans, and a dramatic extension on the maturity of its debts. Without such extensions creditors might have to accept “deep upfront haircuts” on existing loans, the IMF added. The split between the IMF and Greece’s European creditors over how best to deal with the country’s debt crisis has been hinted at before, but this is the first time such a disagreement has been made public. One senior IMF official said the fund would only participate in a third bailout for Greece if EU creditors produce “a clear plan”. The current deal “is by no means a comprehensive, detailed agreement”, the official said. Under the new bailout terms, eurozone governments will contribute between €40 billion and €50 billion to Greece’s new three-year bailout, the IMF is expected to contribute another major chunk and the rest will come from selling off state assets and the financial markets. The split between the IMF and the EU comes just hours before the Greek parliament is due to vote on a raft of economic reforms demanded of the Eurogroup over the weekend as a condition of a third Greek bailout. 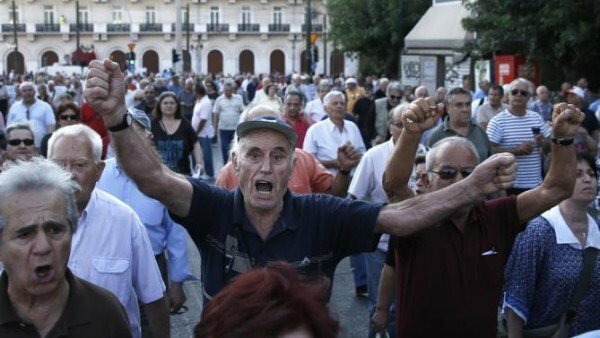 The measures – which face resistance from PM Alexis Tsipras’ own lawmakers – include taxation increases and pension curbs. Greece owes about 10% of its debt to the IMF. It has missed two deadlines for repayment to the fund and is the first EU country ever to do so. The IMF also said it regarded forecast rates of growth for Greece as unrealistically high. Its analysis, released on July 14, pointed to Greek government debt reaching a peak of close to 200% of GDP or national income – over the next two years, which it called “highly unsustainable”. 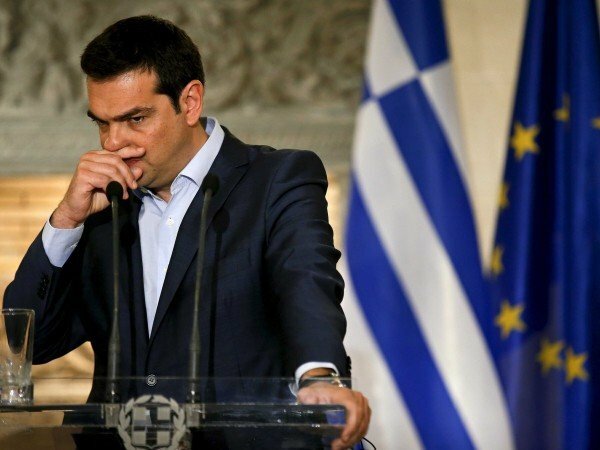 On July 14, Alexis Tsipras said in an interview on state television that he did not believe in the bailout offered but was willing to implement it to “avoid disaster for the country” and the collapse of the banks. The conditional agreement to receive up to €86 billion ($95 billion) from the EU over three years depends on further economic reforms – including the labor markets, banks and privatization – being passed after July 15. Meanwhile, unions and trade associations representing those including civil servants, municipal workers and pharmacy owners have called or extended strikes to coincide with Wednesday’s parliamentary votes. Greece also faces an immediate cash crisis. Banks have been shut since June 29. Alexis Tsipras warned banks are unlikely to reopen until the bailout deal is ratified, and this could take another month. A suggestion of providing Greece with emergency funding under the EU-wide European Financial Stability Mechanism has been opposed by Britain, which is not part of the euro but is an EU member. 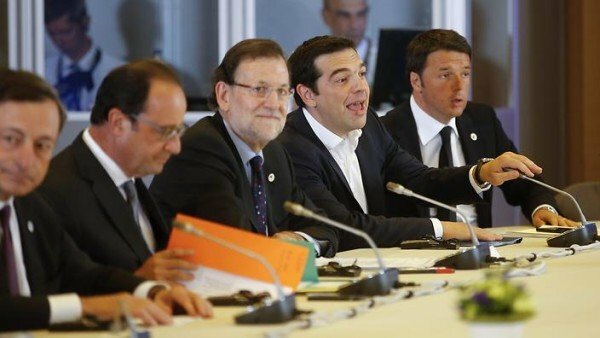 Greece will receive a third bailout after marathon talks in Brussels where eurozone leaders have reached the agreement. EU chairman Donald Tusk has announced leaders agreed “in principle” on negotiations for the bailout, “which in other words means continued support for Greece”. Greece’s PM Alexis Tsipras said that after a “tough battle”, his country had secured a “growth package” of €35 billion, and won debt restructuring. The country will now have to pass reforms demanded by the eurozone by July 15. “There will not be a <<Grexit>>,” said European Commission head Jean-Claude Juncker, referring to the widespread fear that if there had been no deal, Greece would have had to leave the eurozone. Alexis Tsipras also said he had the “belief and the hope that… the possibility of <<Grexit>> is in the past”. “The deal is difficult but we averted the pursuit to move state assets abroad,” he said. Jeroen Dijsselbloem, the head of the eurozone group of finance ministers, said the agreement included a €50 billion Greece-based fund that will privatize or manage Greek assets. Out of that €50 billion, €25 billion would be used to recapitalize Greek banks, he said. 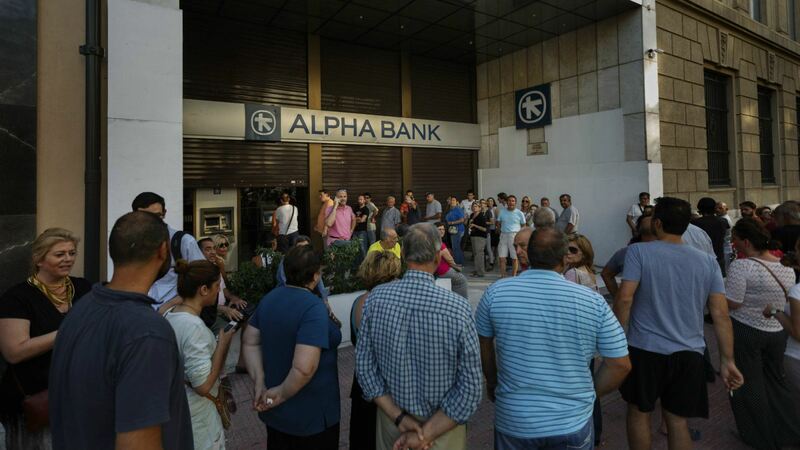 Greek banks have been closed for two weeks, with withdrawals at cash machines limited to €60 per day. The economy has been put under increasing strain, with some businesses closing and other struggling to pay suppliers. Eurozone finance ministers are due to meet later on Monday to discuss providing “bridge financing” that would cover Greece’s short-term needs. “The road will be long, and judging by the negotiations tonight, difficult,” German Chancellor Angela Merkel said on July 13. French President Francois Hollande said the agreement had allowed Europe to “preserve integrity and solidarity”. “We also had to show that Europe is capable of solving a crisis that has menaced the eurozone for several years,” he said. Eurozone leaders had been meeting in Brussels for 17 hours, with talks continuing through the night. During the talks, reports emerged that Greece was holding out over the proposed role of the International Monetary Fund (IMF) in a new program, and over the fund to hold Greek assets. 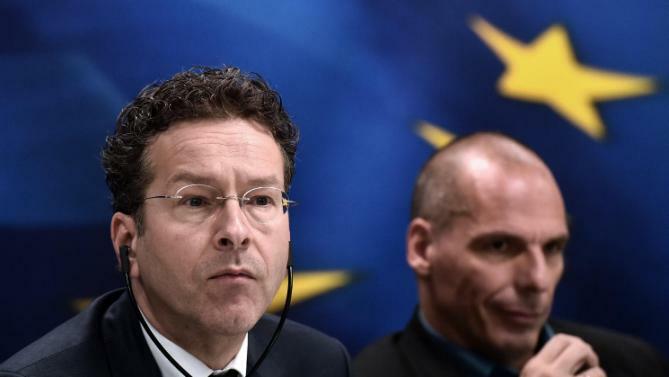 Eurogroup is due to resume talks in Brussels on a bailout deal for Greece. Nine hours of talks on July 11 ended without agreement and Eurogroup leader Jeroen Dijsselbloem described negotiations as “very difficult”. Eurozone finance ministers have expressed skepticism Greece will implement the austerity measures it has proposed. They have little time to produce a working plan ready for European leaders who meet in Brussels later on Sunday. “We have had an in-depth discussion of the Greek proposals, the issue of credibility and trust was discussed and also of course financial issues involved, but we haven’t concluded our discussions,” Jeroen Dijsselbloem, who heads the Eurogroup of finance ministers, told reporters as the earlier round of talks broke up. Talks are due to resume at 09:00 GMT. Greek lawmakers have backed the latest measures proposed by PM Alexis Tsipras, despite the fact that many of the ideas were rejected by the Greek people in July 5 referendum. 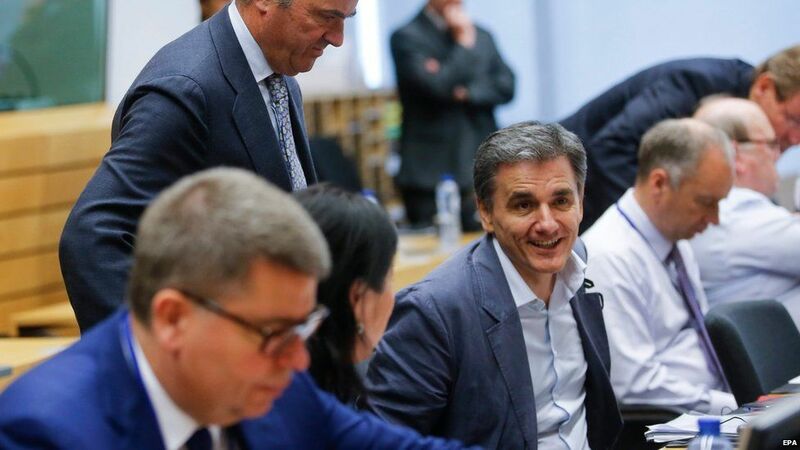 Greek Finance Minister Euclid Tsakalotos is attending the talks in Brussels, trying to convince his counterparts that his government can be trusted to push through their economic reform plan. Before talks began on July 11, Jeroen Dijsselbloem said there were concerns not just about “the content of the proposals, but also on the even more difficult issue of trust”. “How can we really expect this government to implement what it’s now promising? I think it’s going to be quite a difficult meeting,” he said. German Finance Minister Wolfgang Schaeuble said Greece would have to do more than promise reforms if it wanted more money. “We will definitely not be able to rely on promises,” he said. Reports on July 11 suggested that German ministers were drawing up a plan that would allow Greece to exit the eurozone temporarily if this weekend’s talks fail – something Athens says it is not aware of. There were also unconfirmed reports that Finland had refused to agree to the new bailout proposals, although on its own it is unlikely to stop any deal going ahead. Greece is asking creditors for €53.5 billion ($59.47 billion) to cover its debts until 2018. However, the amount of the new bailout could reach €74 billion as Greece seeks a restructuring of its massive debt, which it says is unsustainable. Of the €74 billion, €58 billion could come from the EU’s bailout fund, the European Stability Mechanism, with €16 billion from the IMF, sources have said. 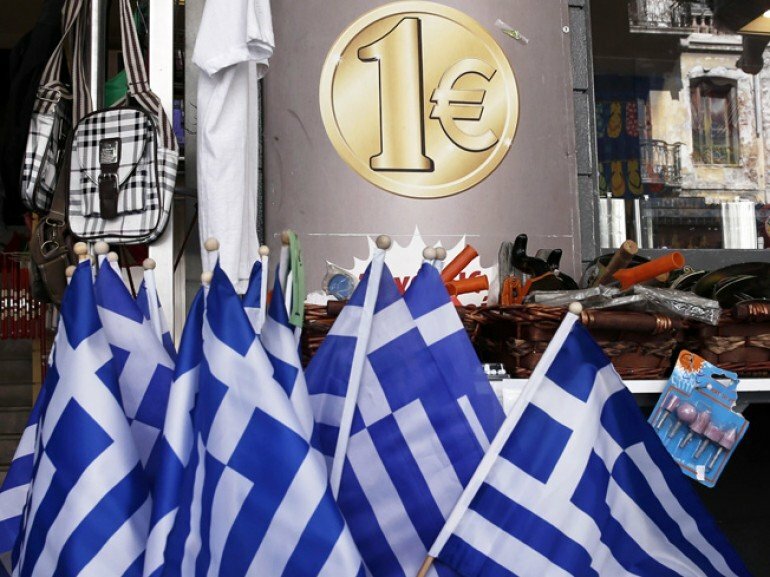 As talks drag on, Greece’s financial situation is close to collapse. Banks have been closed for two weeks and a €60 ($66) daily limit on cash machine withdrawals, imposed on June 28, remains in force for Greek citizens. Eurozone finance ministers have reportedly rejected Greece’s request to extend bailout program beyond June 30. According to The Wall Street Journal, Greece asked for a one-month extension of its expiring rescue deal. But the request was swiftly rejected by the rest of the eurozone, three European officials said on June 27. Greek Finance Minister Yanis Varoufakis made the request at a meeting with his eurozone counterparts in Brussels, a day after the government in Athens said it would hold a referendum on its bailout in which it would campaign against the policy overhauls and budget cuts demanded by its creditors. The finance ministers of the other 18 eurozone countries will meet without Greece later Saturday evening, two European officials said. Many ministers expressed surprise and disappointment toward Greece’s PM Alexis Tsipras’s decision to call for a referendum in which he would campaign against the budget cuts and policy overhauls demanded by his country’s creditors. Alexander Stubb, Finland’s finance chief, was one of several ministers who said their negotiations would now focus on how to deal with the consequences of a Greek default. “Plan B becomes Plan A,” Alexander Stubb told reporters. Greece will keep repaying its debt as long as possible, government spokesman Gabriel Sakellaridis has said. The government’s statement comes days after Interior Minister Nikos Voutsis warned Greece had run out of funds. Gabriel Sakellaridis said Greece would maintain repayments to its EU-IMF creditors for as long as possible. He also rejected the idea of possible capital controls that would restrict money transfers and access to savings. Greece and its creditors must reach a deal within weeks to unlock bailout funds needed to honor debt repayments. The leftist government was elected in January on a pledge to end austerity measures imposed as a condition of its €240 billion ($263 billion) bailout. It has spent the past four months trying to reach a deal with creditors in the IMF, the European Union and the European Central Bank to release the final bailout tranche, worth €7.2 billion. However, they have failed to agree over economic reforms being demanded by the creditors. In a Greek TV interview over the weekend, Nikos Voutsis said the repayment money owed in June “will not be given and is not there to be given”. However, Gabriel Sakellaridis said the government wanted to meet its obligations. He also said a deal would soon be reached in talks with creditors. “That is the government’s intention and the target we have set,” he said. Gabriel Sakellaridis also dismissed the possibility of imposing capital controls if repayments were not met, as has recently been suggested by some experts and an opposition lawmakers. Greece’s last cash injection from its international creditors was in August and the final installment of its bailout is now seen as vital. First Greece has to meet the June 5 repayment deadline. If it fails to come to a deal with its partners, there is a fear it could default on its loans. Greece has been shut out of bond markets, and has been struggling to meet debt obligations and to pay public sector wages and pensions. A defiant Greece has decided to rehire thousands of public sector workers, including cleaning ladies, despite sustained pressure from its international creditors. 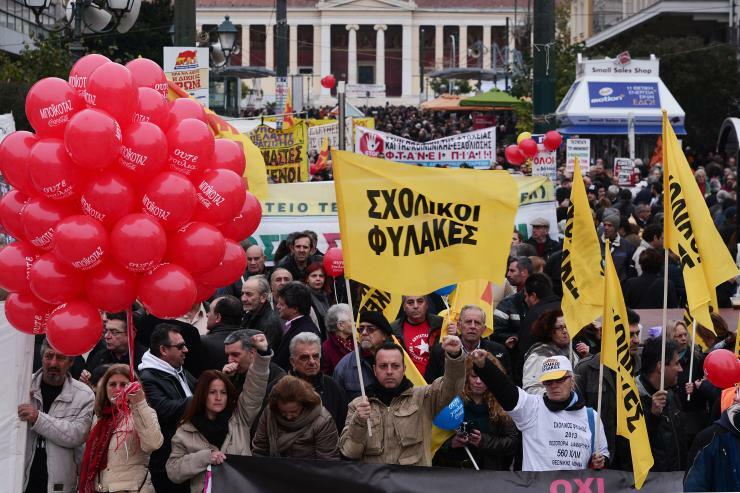 Greek lawmakers passed a law to give back jobs to some 4,000 workers who were laid off under severe austerity cuts. 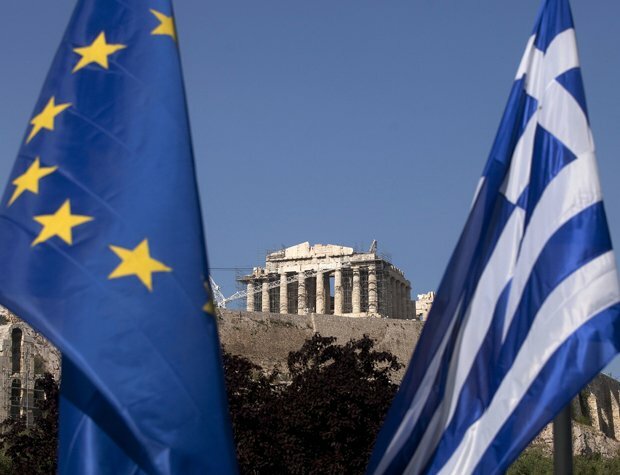 The move comes as Athens seeks a deal on more financial aid ahead of a meeting of eurozone finance ministers on May 11. Greece is running out of money as it has to pay €750 million ($845 million) to the International Monetary Fund (IMF) on May 12.
International creditors have demanded cuts in spending, including plans to trim the civil service and privatization of state assets, in order for Greece to continue receiving loans. On May 7, the Greek parliament adopted a bill to rehire school guards, cleaning ladies and civil servants who lost their jobs or were earmarked for dismissal under the austerity program. In 2014, 32 cleaning ladies sacked by the Greek finance ministry came to the European Parliament in Strasbourg in France to plead their case. The insistence of the cleaners – who were replaced by cheaper workers – made them famous all over Greece. Yesterday’s bill in the Greek parliament does not violate the terms of a massive bailout by the EU and IMF, which allows Athens to hire one public employee for every five who leave. However, the move – combined with the reopening of the public broadcaster ERT – is likely to face criticism from the eurozone negotiators. EU officials say a deal is unlikely before Greece has to make the IMF payment on May 12. Greece needs progress at May 11 meeting because that is likely to affect the willingness of the European Central Bank to allow the continued emergency lending that is keeping Greek commercial banks afloat. Greek Finance Minister Yanis Varoufakis insisted the country would meet May 12 deadline. Yanis Varoufakis also rejected the view that Greece had been reckless with bailout money, saying that 91% of the bailout funds his country had received so far had been spent on repaying banks, particularly northern European banks such as Germany’s – rather than helping Greece’s economy. Yanis Varoufakis again stressed that Greece had no intention of leaving the euro. Greece met its deadline on May 6 for a repayment for €200 million. Greece’s Finance Minister Yanis Varoufakis has said it is possible that a referendum could be held if the eurozone rejects the country’s debt renegotiation plans. The comments came ahead of today’s Eurogroup meeting in Brussels, where Greece is to give detailed plans of its debt and growth terms. Greek PM Alexis Tsipras reacted by urging Yanis Varoufakis to use “fewer words and more action”. The finance ministry clarified that eurozone membership was not in doubt. In an Italian newspaper interview on March 8 Yanis Varoufakis was asked what his options were if a deal was not agreed. “If needed, if we encounter implacability, we will resort to the Greek people either through elections or a referendum,” he replied. This was interpreted by some as a threat to leave the eurozone if talks broke down, something the Greek government was quick to deny. Greek officials pointed out that the words “for the euro” had been added to Yanis Varoufakis’s remarks in brackets in the article. Greece’s eurozone membership was “a given” and did not form any part of negotiations with the Eurogroup, they added. Yanis Varoufakis later criticized the reports as “willful attempts to undermine the good course” of attempts to agree a deal with creditors. In a widely leaked letter to the Eurogroup, Yanis Varoufakis set out seven key reforms which he hopes will appease eurozone lenders and allow the next installment of bailout money to be released. Greece aims to save €200 million through public spending cuts, as well as streamlining bureaucracy and cracking down on tax evasion. He said Greece must first implement its reforms, adding that he did not expect a deal to be completed at March 9 meeting. Greece needs to agree terms so that it will become eligible for more credit from the eurozone and the IMF. This would in turn allow its banks to finance themselves from the European Central Bank. 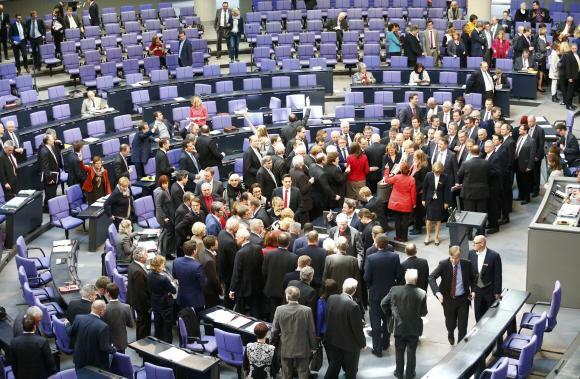 German lawmakers have voted to extend Greece bailout by another four months. The bailout extension – approved by international creditors last week in exchange for a series of Greek government reforms – needs to be ratified by eurozone members. Some German lawmakers had expressed doubts about the deal and there is substantial public skepticism but the vote passed easily. It comes after police and protesters clashed during anti-government demonstrations in Athens on February 26. They were the first such disturbances since Greece’s leftist Syriza was sworn in as the main government party exactly a month ago, promising to renegotiate the country’s debt and end austerity. Dozens of activists hurled petrol bombs and stones at police and set cars alight after a march involving hundreds of protesters. Some carried banners calling for Greece to leave the EU and for its debt to be cancelled. Eurozone finance ministers on February 24 approved a set of reform proposals submitted by Greece. As the dominant economic power in the EU, Germany’s approval was regarded as crucial – and on February 27 the overwhelming majority of lawmakers granted it. A total of 542 voted for the proposals, with 32 voting against and 13 abstentions. The vote was preceded by a ferocious debate, with catcalling and jeering. German Finance Minister Wolfgang Schaeuble spoke in favor of the deal, telling parliament: “We Germans should do everything possible to keep Europe together as much as we can. Hawkish elements within Chancellor Angela Merkel’s CDU (Christian Democratic Union) and its Bavarian sister party, the CSU (Christian Social Union), have portrayed the extension deal as leniency for Greece. Wolfgang Schaeuble himself has expressed doubt about the Greek government’s commitment to reform. However, German legislators felt they had no choice but to pass the vote, as a eurozone breakup could prove even more expensive than the bailouts and potentially undermine the credibility of the euro. In Greece, the proposed bailout extension has also triggered dissent within the governing party. Greek PM Alexis Tsipras has defended it, but some on the hard left have accused Syriza of going back on pre-election pledges. Even if the bailout extension goes through Greece still faces the formidable task of trying to service its debt obligations. Greece will need to flesh out its reform program in detail by April and prove that reforms are bedding in before receiving a final disbursement of 7.2 billion euros. In the meantime Greece has to repay several billion euros in maturing debts, including about 2 billion euros to the IMF in March, and 6.7 bilion in European Central Bank bonds maturing in July and August. The Eurogroup has approved a list of reforms submitted by Greece as a condition for extending its bailout by four months, officials say. Eurozone finance ministers said they had agreed to begin national procedures – parliamentary votes in several states to give the deal final approval. However, IMF chief Christine Lagarde said they lacked “clear assurances” in key areas. Greece’s debt stands at more than €320 billion, and its current €240 billion bailout expires on February 28. Fresh funding will not be released until Greece’s proposals are approved in detail. The main stock market in Athens rose by nearly 10% on February 24, hitting a three-month high. The European Commission and the European Central Bank (ECB) both stated that the Greek proposals were a “valid starting point”. The agreement had “averted an immediate crisis,” said European Commissioner for Economic Affairs Pierre Moscovici. “It does not mean we approve those reforms, it means the approach is serious enough for further discussion,” he added. However, Christine Lagarde expressed reservations about the reform proposals. “In some areas like combating tax evasion and corruption I am encouraged by what appears to be a stronger resolve on the part of the new authorities in Athens,” Christine Lagarde wrote in a letter to the Eurogroup. The IMF, ECB and the Commission make up the “troika” of institutions that have managed financial rescue programs for Greece since 2010. The four-month bailout extension was agreed on Friday after several rounds of talks, pending Greece’s delivery of its reform proposals. The deal was widely seen as a climbdown by Greek PM Alexis Tsipras. The newly elected leader of the left-wing Syriza party is trying to balance satisfying the demands of creditors with meeting his pre-election pledges. 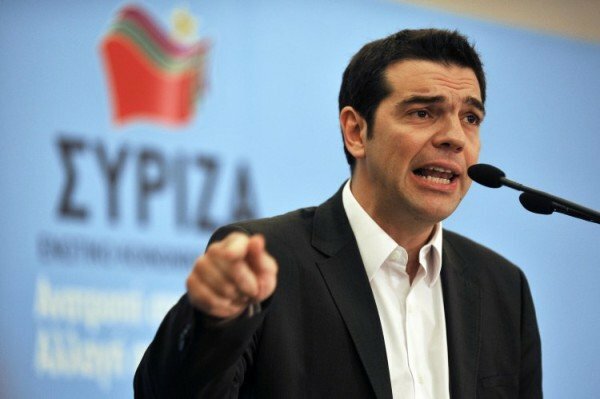 Alexis Tsipras’ government wants to clamp down on tax evasion, corruption and inefficiency in order to fund social spending and alleviate what it calls Greece’s “humanitarian crisis”. ECB head Mario Draghi noted that Greek commitments “differ from existing program commitments in a number of areas”. He said there would be a need to assess whether measures rejected by Greece were “replaced with measures of equal or better quality”. Eurogroup chairman Jeroen Dijsselbloem said the Greek government had a right to put its own “stamp” on the bailout program. “The new government is much more aggressive on taxes and corruption, and these are excellent things,” Jeroen Dijsselbloem told Dutch radio.